2017 marks the 152nd anniversary of Juneteenth – the oldest known celebration commemorating the end of slavery in the United States. Although many associate Abraham Lincoln’s January 1, 1863 signing of the Emancipation Proclamation as the end of this brutal practice, it wasn’t until two years later that Union soldiers announced the end of the Civil War, and read aloud a declaration to free the quarter-million slaves residing in Texas. In what some call “our Independence Day,” Juneteenth celebrations criss-cross the United States through a myriad of festivals, music, song, and reflections that honor our ancestors and celebrating this very important step toward freedom. However, even though not all states officially recognize Juneteenth as a state holiday or observance, local civic and social groups often implement their own events despite this legal ignorance. Additionally, the day has been repeatedly recognized on a federal level as the U.S. Senate has unanimously passed legislation recognizing the 19th of June as “Juneteenth Independence Day” through last year. While it’s not as likely for our current political leadership to recognize such a holiday, activists have petitioned President Trump to issue a Presidential Proclamation, as well as to honor the enslaved African Americans who built the White House. Time will tell. But in the spirit of our resilience and vitality, citizen-led and organic celebrations pop up across the United States even without “formal” recognition. PushBlack has highlighted a few of our favorites below. If you’re in any of these cities, be sure to check them out! Galveston, Texas arguably boasts one of the largest Juneteenth festivals as the island is where this historical moment first took place. This year, the city will feature multiple days of parades, festivals, picnics, African-American heritage exhibits, reenactments, concerts, and more. With over 20 events, there’s sure to be something for every member of your family. For a full list of upcoming events, click here. San Francisco, California comes in as the second largest Juneteenth celebration in the United States. This year’s event will feature three blocks of live entertainment, fashion shows, a job fair, a petting zoo, free health screenings, a black astronauts exhibit, a black invention exhibit, classic cars and motorcycles, and resources for the arts and craft community. Not to mention, the weekend also includes film screenings and an open call for performers. Wanna check it out on June 17th? Find out more here. Washington, D.C. is also planning a weekend of events, complete with a prayer breakfast, 5K run, flag ceremony, and a wreath laying ceremony. In order to “Do it for the Culture,” some celebrations are housed at Smith Public Trust – a local Black-owned business, and will feature live painting, vendors from the community, local artists, and live music. Right outside of DC, in Prince George’s County, Maryland, the city will host its annual celebration at Walker Mill Regional Park – complete with cultural programming, food, and fun. Find out more here. Don’t see your city above? 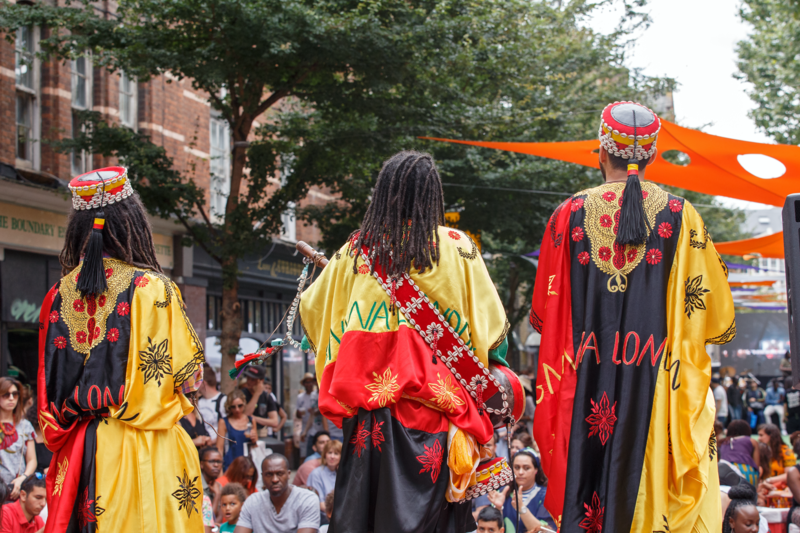 Check out this list of Juneteenth festivals featuring Memphis, TN; Yonkers, TN; Sacramento, CA; Atlanta, GA; Daytona Beach, FL, and more!